NEWS: Best of ZapCon Full Results! Pinball in Arizona,Pinball in Phoenix,Zapcon 24 April 2018 | Comments Off on NEWS: Best of ZapCon Full Results! 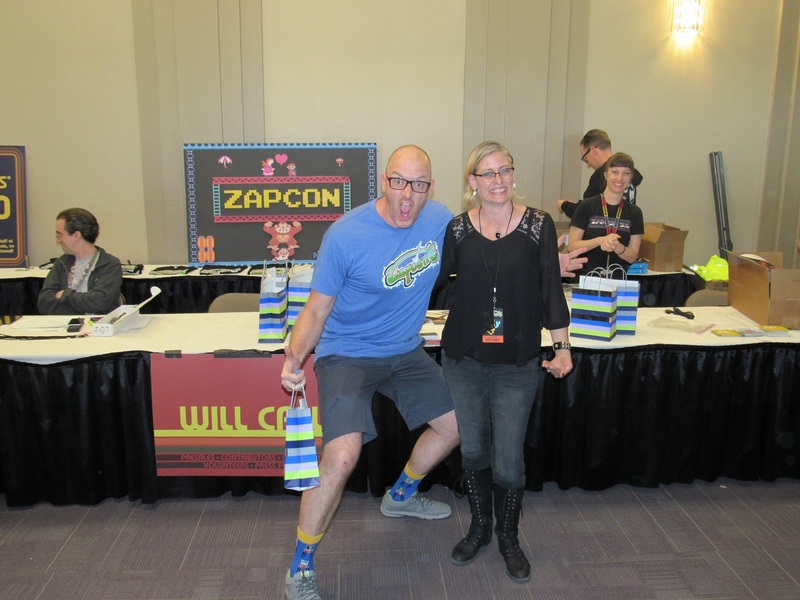 It’s a difficult task, sometimes, picking the best of the best, and this year at ZapCon was no exception. 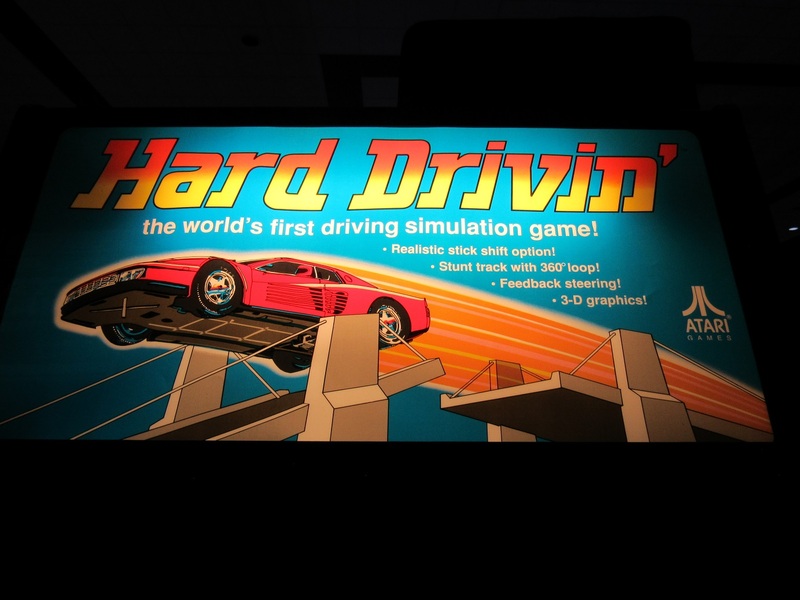 People brought down some truly awesome games. 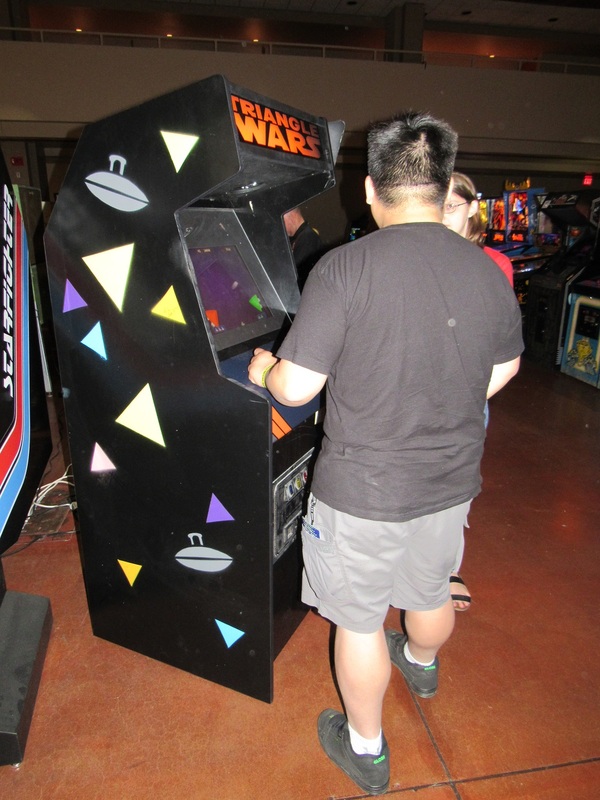 And while we thank everyone for sharing, we want to recognize some of the most appreciated games among them. 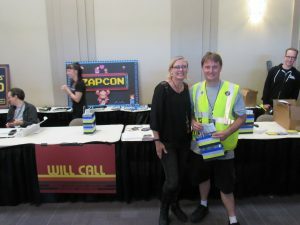 Here are the Best of ZapCon award winners for 2018, along with a few honorable mentions. THANK YOU EVERYONE, and CONGRATULATIONS!! Each winner received a bag of goodies that included a custom plaque from the local HJ Trophies and Awards, a gift card to Cobra Arcade, a mini bottle of champagne, a certificate of coolness, some stickers, and snacks. Congratulations, everyone! There was some furious voting this year, with more ballots than ever cast in our contest. 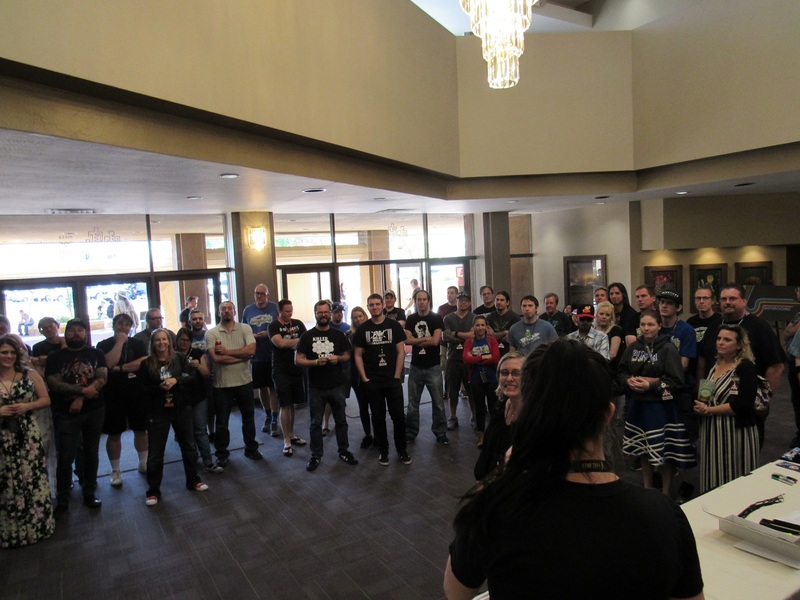 Contributors gathered to hear who’d won in the down-to-the-wire contest. Of course, this guy came out on top again. Congratulations, Ben Baraldi, for winning the first of our judged categories, the Restored/Custom Arcade award, for the Triangle Wars game that he custom built with help from Chris Spaseff, Rachel Bess, and Wes Sparks, all perennial winners themselves. 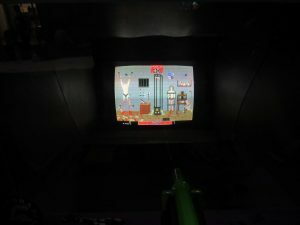 The game is based on a machine that appears on The Simpsons, sitting next to the also-mysterious Polybius game one time and at other random times in some other episodes. The game was well-played all weekend, appreciated by fans and judges alike. 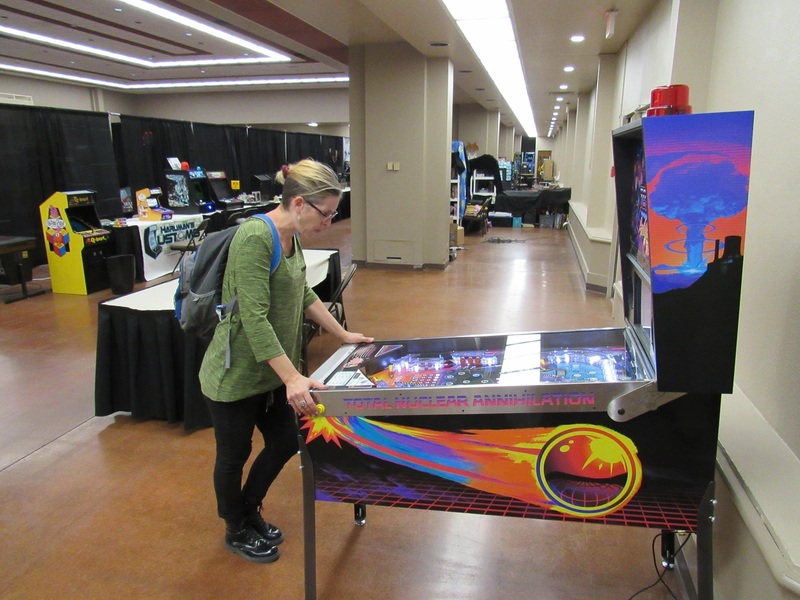 Another judges favorite was this custom upright brought down by Ariel Bracamonte and the other good folks at Cobra Arcade. 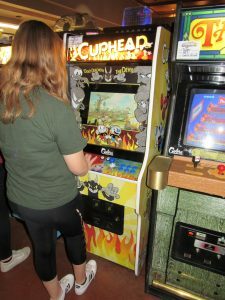 Based on a PC game that looks like a classic ’30s cartoon with a slightly twisted story line, this game received the Favorite Arcade award. The game was a hit with fans as well. 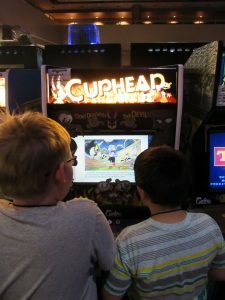 Kids talked excitedly about the game all weekend and could hardly believe it. Adults had basically the same reaction. Judges also lauded this Panic Park game, also brought down by Ariel Bracamonte and Cobra Arcade. 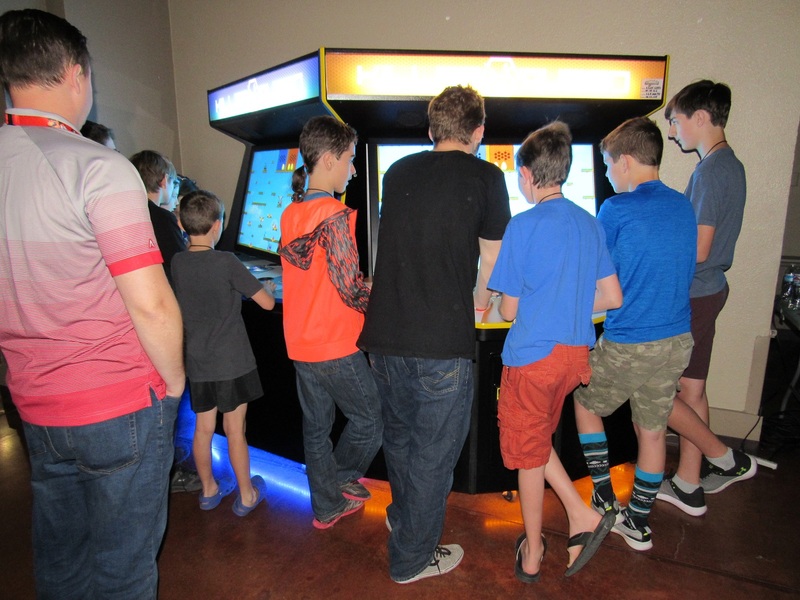 This two-player interactive game is rare in the U.S. 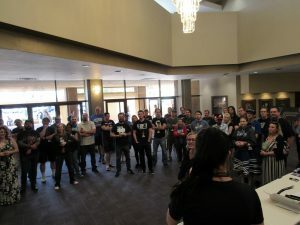 Fans lined up all weekend for the chance to swing the handles into one another and knock their characters into certain, if fleeting, death. 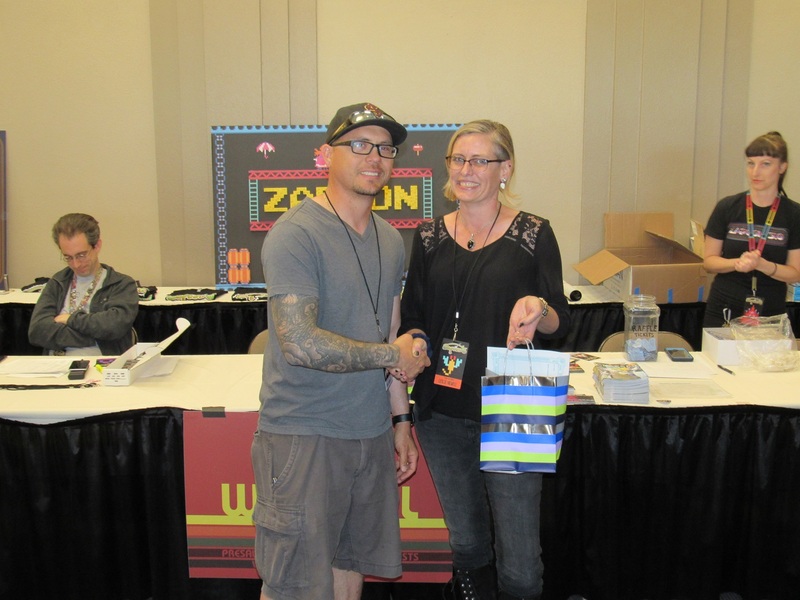 This game won the Most Fun Arcade Game from our judges. 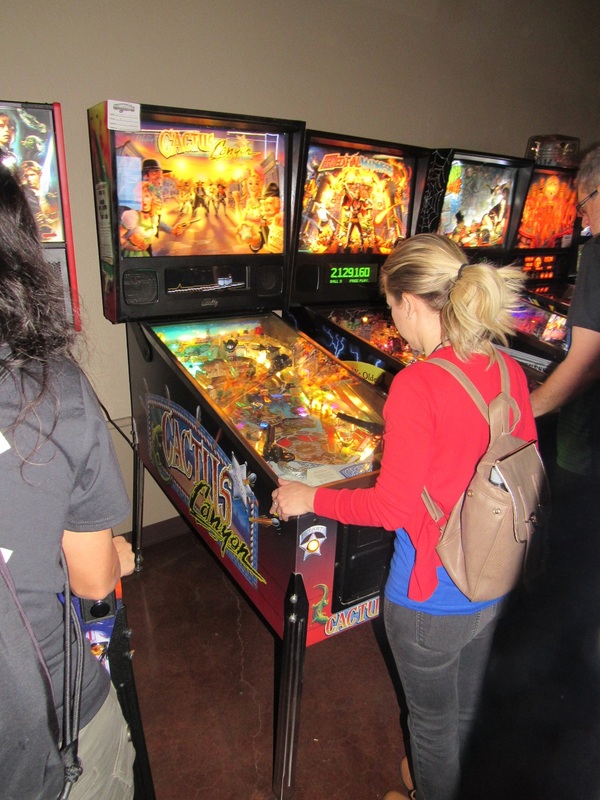 On the pinball side, our judges gave high marks to this Pirates of the Caribbean machine brought down by Kevin Curtis. 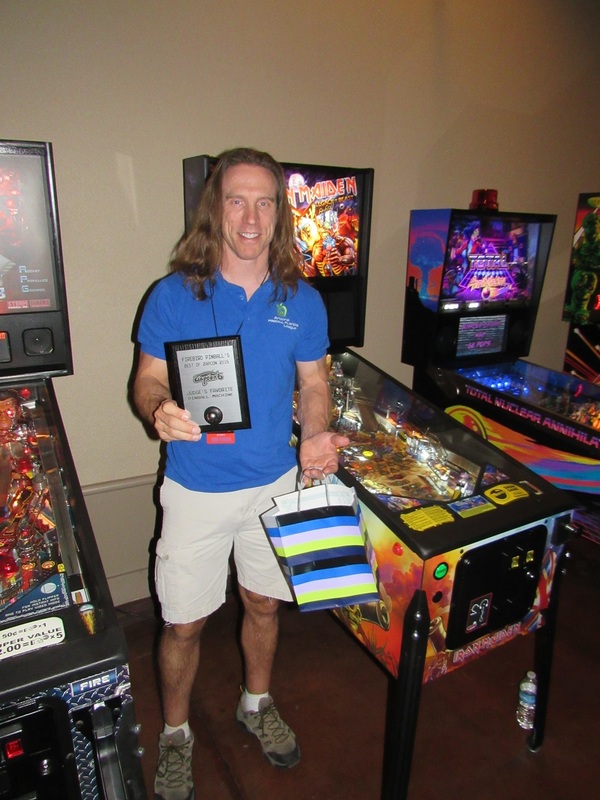 It received the Best Custom/Restored Pinball award. 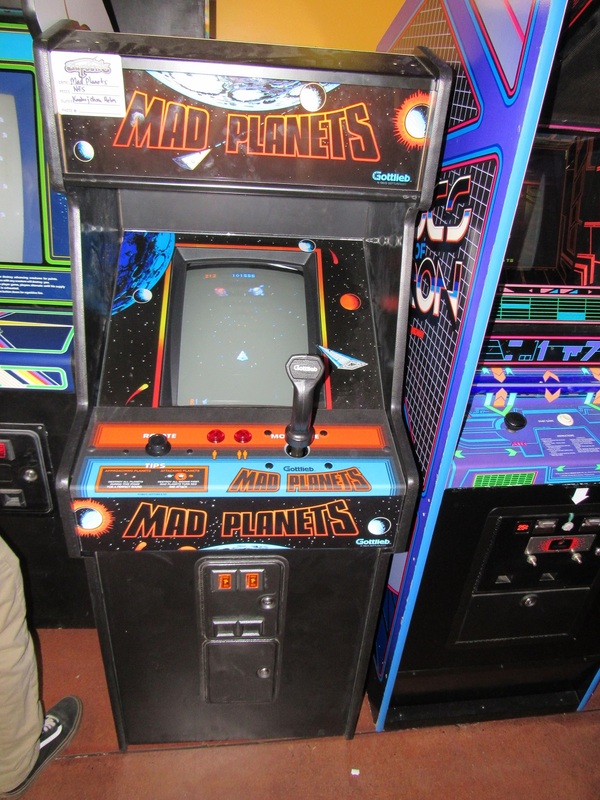 Kevin’s machine was severely damaged in shipping. 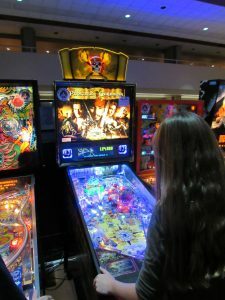 The machine needed wood repair, custom art fixes, new hinges and rails, and more. 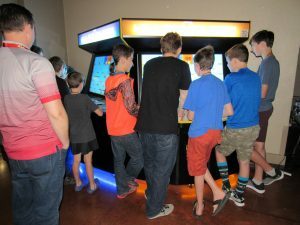 Then he went beyond that, and installed speaker kits and lights, a way-cool topper, full LEDs, a color DMD, a wood-engraved speaker panel, and more. This game was so beautiful that it sold quickly. At least Kevin had his trophy to take home. Our judges also lauded Mark Pearson’s Iron Maiden game, handing it their Favorite Pinball award. Of course, Iron Maiden machines were all the rage all weekend, as the newest release from Stern, but judges said the headset jack gave Marks’ game in particular a great new dimension. The five different Iron Maiden machines scattered around the room all received votes from very specific fans, and split the popular vote. This was pretty much the view of the new Stern bank all weekend. 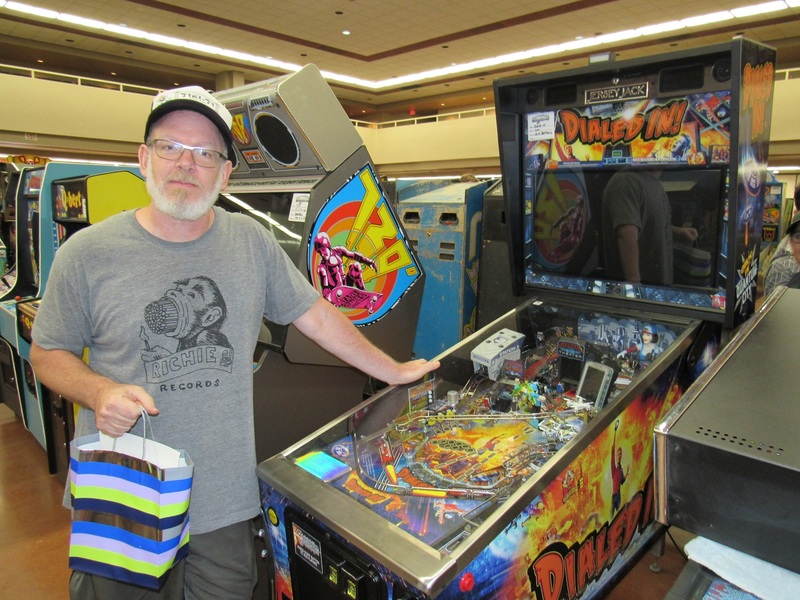 Our final judges award for pinball went to this awesome Cactus Canyon machine, brought down by Cal Smith. Organizers were happily surprised to see it pull up unexpectedly late Friday, and fans and judges were thrilled as well. 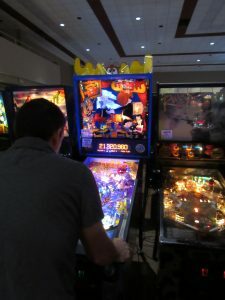 This machine received the Most Fun Pinball award. As we said, our fan balloting was crazy this year, with hundreds more votes cast than in any of our prior votes. 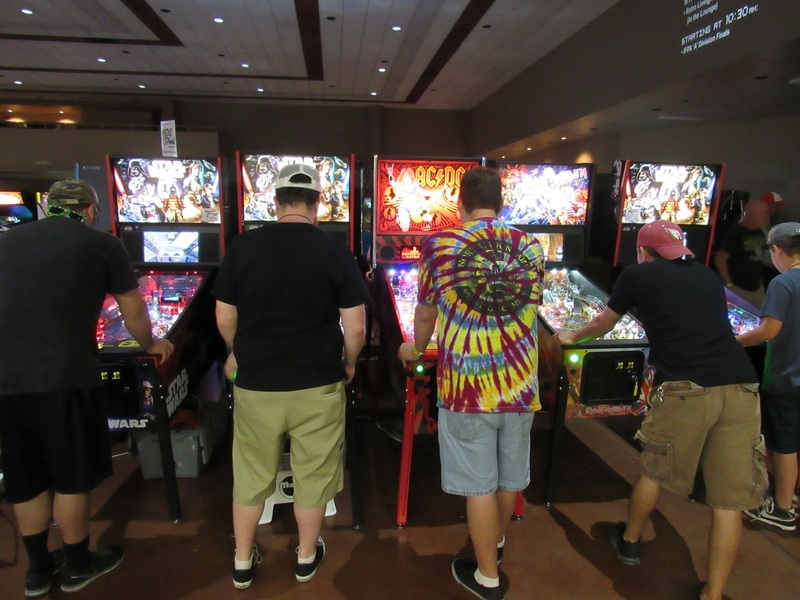 Split Iron Maiden and Star Wars votes let this machine pull through at the end, and Dialed In received our Fan Favorite award for pinball machines. This Jersey Jack game came out last year and features a cutting-edge theme that features emojis, selfies, and drones. 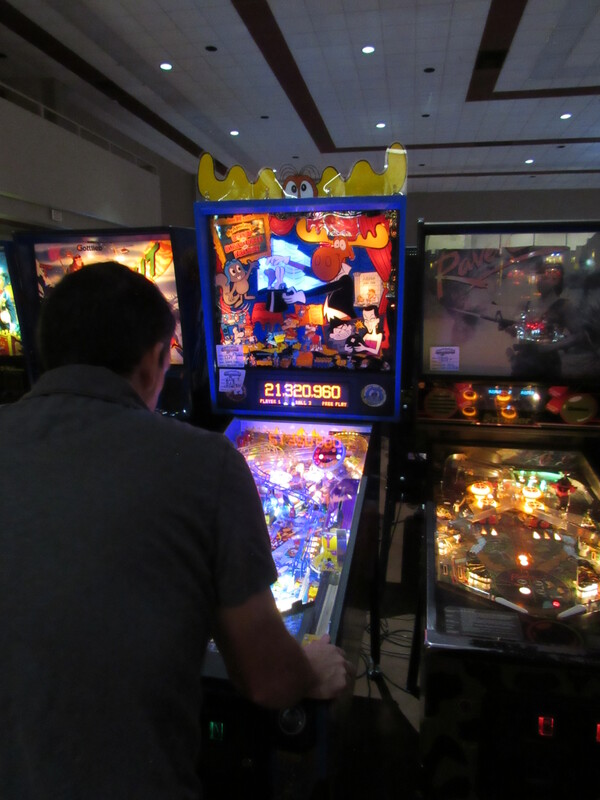 The fans thanked Jeff Barthold for bringing down the machine, which did flash a selfie of his handsome mug on the high score table most of the weekend. 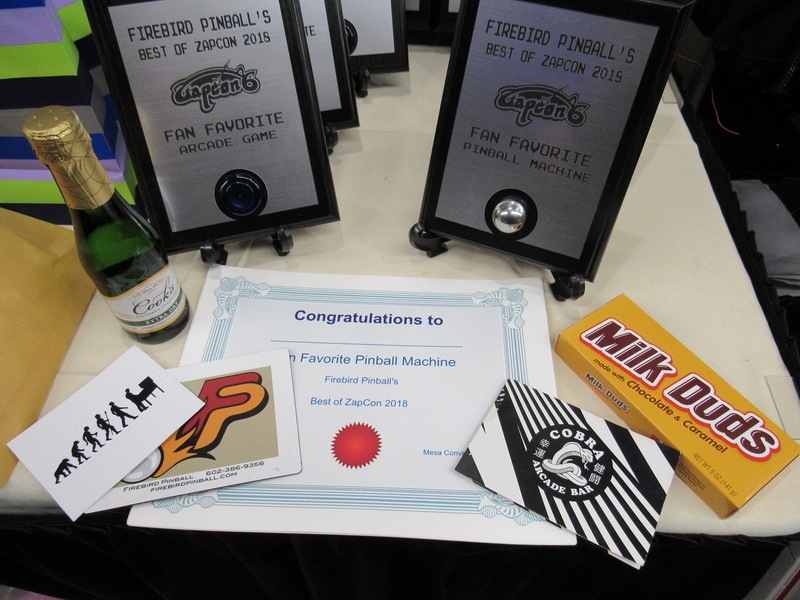 Our Fan Favorite category was decided in true Chicago style, as fans voted early (and, apparently, often!) for this well-traveled Hard Drivin’ machine. 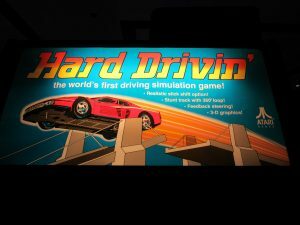 This 1989 driving game received an incredibly high number of votes! 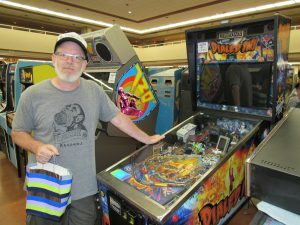 Congratulations to Hans Burnett, who also sold the game during the weekend. Honorable mentions wouldn’t be honorable without throwing some love toward Killer Queen. 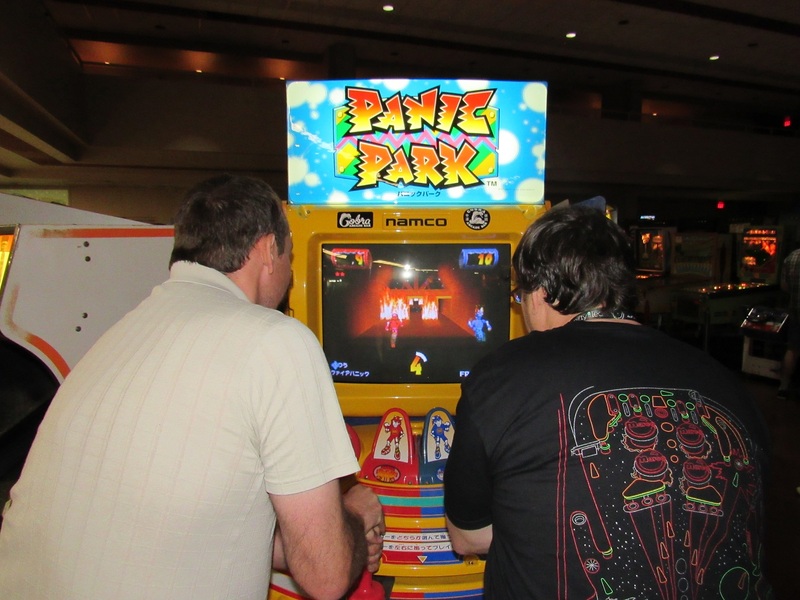 This game had won awards for three years straight, and tallied high with fans again this year. It was definitely a Fan Favorite! 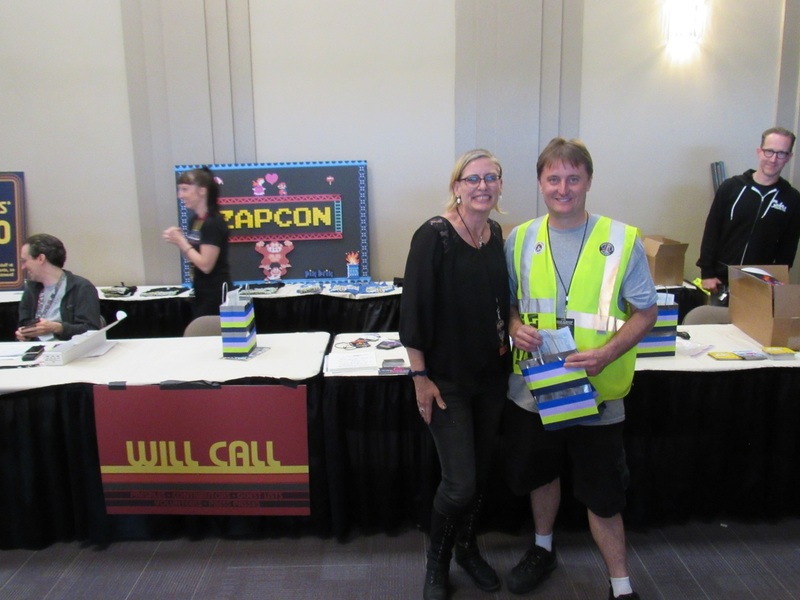 A big shout out also to Chiller. 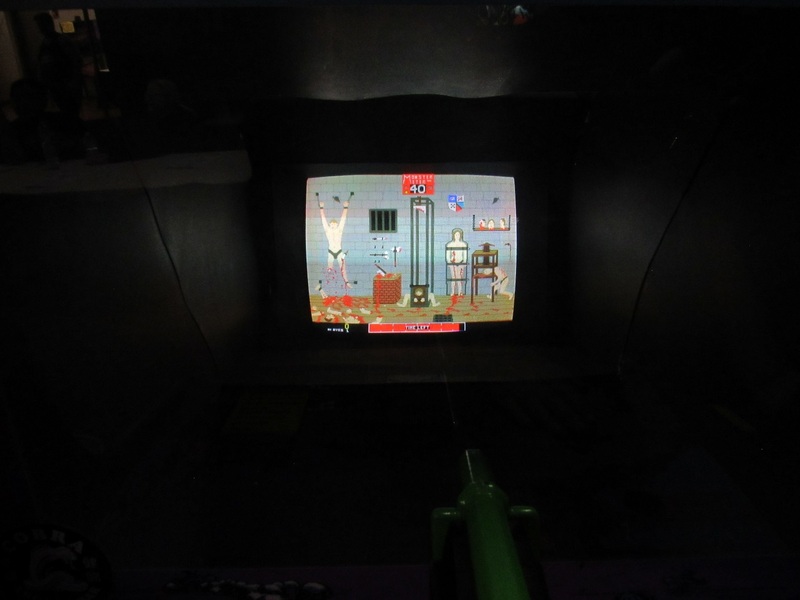 We wish we had a better shot of this torture-chamber-themed game. It was crazy! 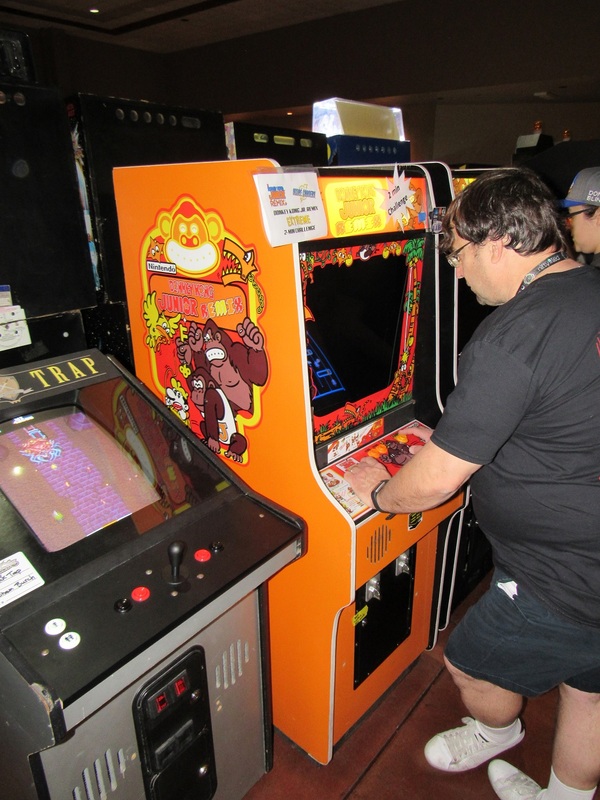 This Donkey Kong remix also earned kudos from fans and judges. 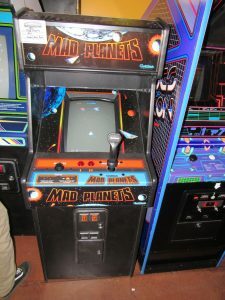 Fans also liked this way-cool Mad Planets game. Isn’t it gorgeous? A strong write-in campaign curried some good votes for this awesome Rocky & Bullwinkle game. Thanks for bringing it, Mary! 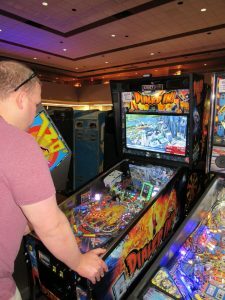 And while people seemed to either love or hate this Total Nuclear Annihilation game, enough of them loved it to vote for it often. It got one vote that mattered, at least. Thanks again, everyone. Check out our previous award-winners here. Now get some rest. And we’ll see you next year!